I am delighted today to feature Mark Bedford, the Bass Player for Madness, in the ‘Jukebox Jive With … ‘ series. It was a pleasure to converse with such a patient, thoughtful and generous interviewee. I would award Mark the high Jukebox accolade of RGB (Right Good Bloke) which in my estimation far outranks the OBE and such beribboned gongs handed out by the Queen! It is no exaggeration to say that Madness, now with a 40 year history as a Band with some time outs for rest, recuperation and diversions, have become fixtures in the imaginations and memories of the entire British Nation. It’s not simply a matter of the 15 top ten hits in the UK and the ubiquity of their albums in homes all over the world. It’s the way their presence through the folk like memorability of their songs, the quirkily brilliant videos and carnivalesque live appearances has made them seem like part of more than one generations extended family. In a real sense many of us have grown up with Madness with them sound tracking the joys and terrors of ageing. Their role as, ‘National Treasures’ has been officially certified by their performances at such red letter day occasions as the Queen’s Diamond Jubilee Concert at Buckingham Palace, the closing ceremony of the London Olympics and the farewell celebrations to mark the last day of programming from the original BBC Television Centre. What has impressed me most about them is their creative energy – their ability to continually grow as musicians, songwriters and performers. They have emphatically not fallen into the trap, which has captured many veteran bands, of becoming witting or unwitting cartoon versions of their former selves. Madness today are still properly restless and minded to surprise themselves and their audience with new material and the vigour with which they present their gem filled catalogue. Starting out as devotees of Ska and Rock Steady from Jamaica they expanded their tonal palette to include Music Hall exuberance, downbeat drama documentaries, lyrical and lovelorn romantic ballads, risqué end of the pier jollity, sharp situation comedies (a la Clement and le Frenais), surreal pantomime and state of the nation proclamations. Oh, and you can sing along and dance to all of them! Our House has instant memorability yet repays repeated listening to savour the superb song craft and the layers of feeling embedded in the lyric, melody and performance. We can all recognise this family – the nuances of the relationships and the truth that comfortable familiarity and subdued foreboding can coexist. Naturally Mark has insights into Madness in all their dimensions denied to the outside observer. So, it as a genuine privilege to prompt his thoughts in our interview. IJ – Was there a musician who inspired you to want to be a musician yourself? 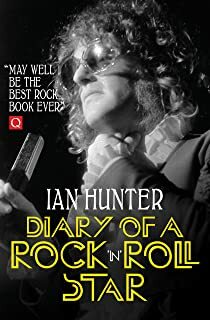 Well, indirectly, it was Ian Hunter of Mott the Hoople. I had seen them on Top of the Pops. I liked their songs and I liked the way he sang – ’And you look like a star but you’re still on the dole’, from, ‘All the way from Memphis’ was really intriguing. I found out he had a book out so I went to Compendium Books in Camden Town and bought ‘Diary of A Rock ’n’ Roll Star’. I read it and thought this is what I want to do. Unfortunately I was only 14, so I practised the bass and had to wait for a couple of years. As far as playing Bass goes I, like everyone, adored Motown’s James Jamerson. David Hayes, long time Bass Player with Van Morrison was an important influence. On the UK scene when I was starting out I took note of the playing of Bruce Thomas with Elvis Costello and Norman Watt Roy with Ian Dury. The drummer Kieran O’Connor and pianist Diz Watson also taught me a lot. Reflecting on my career as a musician I’ve come to realise how important it is to be generous to other musicians and how such generosity benefits all concerned. IJ – What was the first record you just couldn’t stop playing? Technically, ‘Dark Side of the Moon’. Given my age I straddled Punk, so there were key records pre and post. At school I listened to Steely Dan, Neil Young (‘After the Goldrush’ is still one of my favourite records) and Little Feat. Once Punk erupted I was a massive Clash fan and listened to a lot more reggae. I also couldn’t stop playing Elvis Costello’s first album. IJ – Was there a radio station/radio show/live venue that was important in introducing you to the music you love? My first radio memory: Eating breakfast, before going to school and listening to Tony Blackburn play Motown records on Radio One. Of course, if you were a music fan listening to John Peel was compulsory. Things were a bit more lax in the 70s. When we were in our teens, me and a group of friends used to sneak into pubs and listen to music. At the time it seemed that every pub in North London had a back room with a band playing in it. I soaked up a lot of musical education in the Hope & Anchor, Dingwalls and The Carnarvon Castle. We widened our repertoire and then started going to the Sunday concerts at The Roundhouse. These were amazing. ‘Ghost Town’, The Specials. A giant step forward. We felt this really raised the bar for our generation of bands. It was addictively listenable while putting over a strong political message. IJ – Looking back over your career which 3 albums are you most pleased with? MB – The first one, ‘One Step Beyond’ because it showed us we could do it. Going in to the studio to make our debut we were nerveless. We really had the songs down from playing them live so we didn’t go in for any timewasting, ‘noodling’! Producers Alan Winstanley and Clive Langer made important contributions. Alan was very adept technically and Clive had a musically interesting and empathetic mind. They were an excellent combination. The second album, ‘Absolutely’ because it was written under such time-pressure but produced some brilliant songs (it is my favourite Madness record). IJ – Similarly which 3 songs are you most pleased with? These Singles, because they helped us take a step forward: ‘My Girl’, ‘Grey Day’ and ‘One Better Day’. My Girl showed the reflective side of Madness. This is a domestic love song about the kind of real stop/go hesitant love so many of us have experienced. Mike Barson’s melody owes something to Elvis Costello’s, ‘Watching The Detectives’ though the mood is more discomfited male puzzlement rather than noir threat. ’Why can’t she see she’s lovely to me …. ’Why can’t I explain … why do I feel this pain? Been there Brother! Been there! Grey Day though recorded in 1981 was conceived in 1978. It shows Madness were atuned to a sense of dread that seemed to hang heavily in tne air at that time for a host of economic and political reasons. It might properly be called a dystopian diorama or Orwellian vision of a society where it’s casualties are treated as though they were invisible. But, though the central character is made black and bloody he endures. He endures . He endures. One Better day was born with Mark running down a chord sequence on guitar. Given the era it was then recorded onto a cassette in Suggs house. Something about the melody suggested the wistful atmosphere of the song. Now it’s a rare person who doesn’t feel as if they’ve seen better days. Yet as the song makes clear even in the most desperate circumstances one better day may be right before us. If you take the time to look around. The feeling of arriving when you’ve nothing left to lose. Madstock, Finsbury Park, 1992. A home coming, a farewell and a rebirth, all at the same time. There wasn’t a dry eye on stage. (The concert reunited the original band for the first time since 1984). IJ – Nominate one artist who you think is criminally under rated? Robert Wyatt. From Soft Machine, Matching Mole to his solo stuff – so much of it so beautiful. What a voice. Mark plays the Bass on this classic recording. It’s probably Elvis Costello’s most poignant lyric perfectly married to Clive Langer’s plangent melody. There were clearly powerful emotions present in the studio that day – beautifully offered up in Robert Wyatt’s vocal and Mark Bass playing. One of those records that hangs in the air long after it has finished playing. Mark told me that he would love to have Madness and Robert collaborate. I fervently second that proposal. IJ – Nominate one record (by yourself or anyone else) to take up an honoured place as A 100 on The Immortal Jukebox. It’s the record I learnt to play the bass to and still practise to. I know every single note of it. And I have such a close emotional attachment to it. It’s the manual on how to play together as a band. The interplay between the musicians is fantastic. And, as a lovely circular story – A couple of months ago I was sent a message, through Mez Clough Van’s current drummer, by David Hayes, the bass player who is on the record. Regular readers of The Jukebox will know my reverence for Van. I have written that ‘Too Late to Stop Now’ is the greatest double live album of all time. I’m delighted Mark seems to agree with me! Mark is right on the money in referring to the miraculous interplay between the members of The Caledonia Soul Orchestra as they support and inspire their mercurial leader. St Dominic’s Preview seems to me to a prophetic prayer yoking dreams of youth and the enigmas of maturity. No sense in trying to force a linear narrative on it. Surrender, surrender and be uplifted. Thanks again to Mark for participating in Jukebox Jive. It seems to me that Mark and all the members of Madness have been fortunate in finding each other and in the chemistry of their combination. And, fortunately for us they have shared their gifts generously with each other and with us. ’The Rise & Fall’, ‘The Dangermen Sessions Vol. 1’ and, ‘The Liberty of Norton Folgate’.